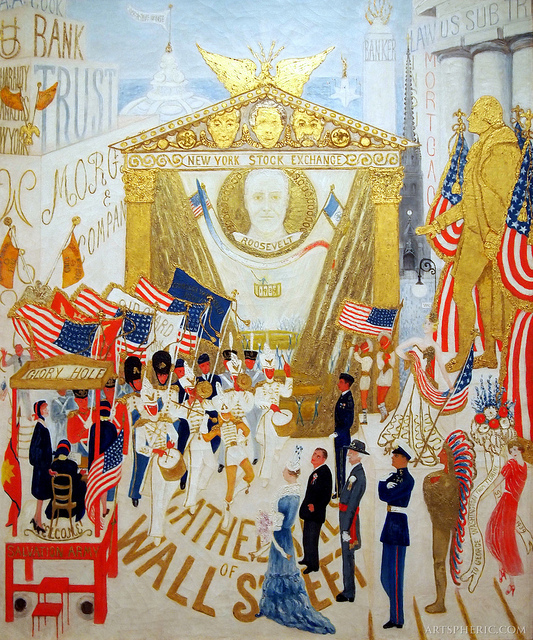 There seems no better way to mark the Fourth of July weekend than to consider Florine Stettheimer’s Cathedral series, her four large paintings that Linda Nochlin describes as “grand, secular shrines dedicated to the celebration of American life” (107). All four of the paintings, The Cathedrals of Broadway (1929), The Cathedrals of Fifth Avenue (1931), The Cathedrals of Wall Street (1939), and The Cathedrals of Art (1944), are currently in the Metropolitan Museum of Art’s permanent collection. As seen in the photo below, the Met displays the paintings together on a single wall, creating a lively, prismatic-like panorama of New York City life in the first decades of the twentieth century. The close proximity also draws attention, I imagine, to Stettheimer’s wry sense of humor and incredible attention to detail, which at once seems whimsical and precise. Nochlin considers the Cathedrals as being “perhaps the most consistent and ambitious expressions of Stettheimer’s social consciousness,” and the paintings certainly exude an exuberant, celebratory tone. But at the same time, “beneath the glowing admiration for American institutions and personae in this work… exists a pointed and knowing critique of them as well” (107, 113). While the nature of this critiques isn’t always immediately accessible to a contemporary viewer, Stettheimer embedded within all paintings individuals and incidents that would have been recognizable to the New York artistic and cultural communities, of which she and her mothers and two sisters were considered to be major figures due to the fashionable salons they hosted. Marcel Duchamp in particular was a close friend of both the family and Stettheimer herself, and while I would never go so far to call her own style “surrealistic,” she certainly possesses a sly sense of humor and capturing a sense of absurdity in these paintings and throughout her entire body of work–qualities which I think allow her to capture a glimpse into American society and culture that, many decades after they were painted, continues to resonate with my own perspective of this country. Nochlin, Linda. “Florine Stettheimer: Rococo Subversive.” 1980. Florine Stettheimer: Manhattan Fantastica. Ed. Elisabeth Sussman and Barbara J. Bloemink. New York: Whitney Museum of American Art, 1995. 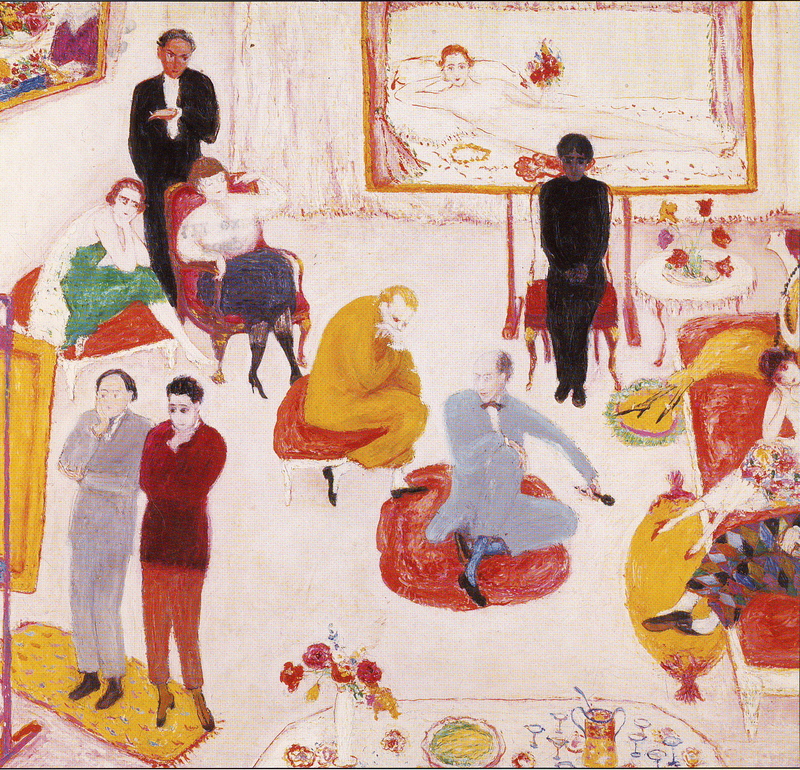 Before I get too far along, I thought I should specify the painting that serves as the main avatar for this blog: Florine Stettheimer’s Soirée (1917-19), also sometimes known as Studio Party. I’ve long been entranced by Stetteimer’s witty and whimsical sensibility, and when it came to select an image that would best encapsulate the intentions of this blog, her paintings seemed a somewhat inevitable choice. I’m consistently dazzled with how she utilizes minute but sharply observed details to embed narratives within her images, and she’s at her best when depicting groups of individuals interacting with each other within a specific space. A number of her paintings capture this dynamic, but Soirée is my very favorite of them all. “Queer modernism” is a necessarily ambiguous term that defies precise definition or categorization, but the overriding dynamic I constantly return to is the emphasis on connection and collaboration. The individuals I generally consider “queer modernists” seemed to actively and intentionally construct extensive relational networks (both professional and often personal in nature), and what is consistently thrilling about studying these figures is how they all seemed to know each other in some way. Queers often served as the key conduits for the promotion of modernist art, and many (most?) 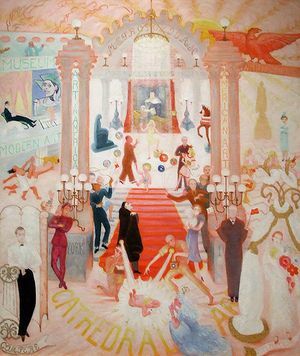 of the great, storied salons of the modernist era were held by figures that were queer: Stein and Toklas at 27 rue de Fleurus, Natalie Barney’s Académie des femmes, Carl Van Vechten’s racially desegregated house parties, etc, etc–and while the salon of the three Stettheimer Sisters, the subject of this particular painting, is not as well known today as those three gatherings, it functioned as a vital site of queer modernist expression as well. I have a number of Stettheimer-related images and material lined up for future “Image of the Day” and other types of posts, but until then the excellent art-oriented blog Venetian Red has a wonderful post on Stettheimer that serves as a nice overview or introduction to the artist, and features a number of high-quality images of her paintings, something which is absolutely essentially to fully appreciate their intricacies and keen visual wit. I wish I currently had time to more fully investigate Benjamin Kahan’s fascinating study Celibacies: American Modernism & Sexual Life, which provocatively “historicizes celibacy as a sexuality,” and, furthermore, argues that celibacy constitutes “a coherent sexual identity rather than a ‘closeting’ screen for another identity” (1,2). I was only able to read the Introduction before deciding that the subject matter was quickly taking me too far afield from the scope of my immediate research, but what I did read I found quite compelling. In his introduction Kahan lays out his argument for “The Expressive Hypothesis”–a clever reconfiguration of Foucault–and he insists that “like Foucault, who resists seeing ‘defenses, censorships, [and] denials’ in merely negative terms,” he “understand celibacy as an organization of pleasure rather than a failure, renunciation, or even ascesis of pleasure (though I also read it in these terms)” (4). What initially caught my attention about this study was the possibility that it would help clarify why there are a number of artists and cultural figures from this era that seem to most productively be regarded as “queer” or at least within the context of queerness, but whose (lack of) sexual activity–at least as far as can be ascertained from the historical record–must inevitably be contended with before applying such a sexually-inflected label. 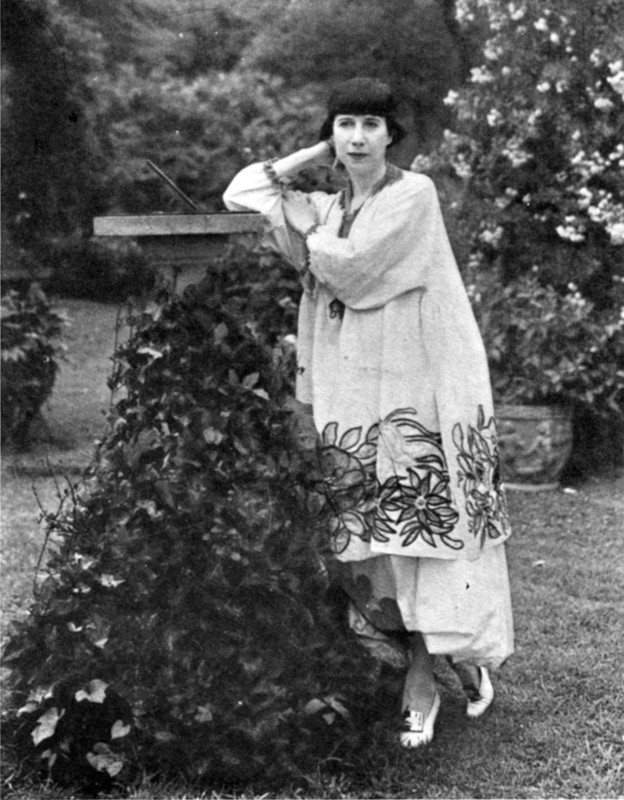 Joseph Cornell and Florine Stettheimer were at the forefront of my mind when taking up this book, but Kahan presents an impressive list of modernist “figures who were sexually recalcitrant, indifferent, alienated, unattached, lonely, and lifelong or periodic celibates,” with a partial list including Flaubert, Dickinson, Proust, Rilke, Kafka, Ferber, Borges, Welty, etc, as well as a number of figures I aim to consider within this space at some point, such as Langston Hughes, E.M. Forster, Baron Corvo, Edith Sitwell, and others (and this doesn’t even get into the artists who took up celibacy as a major theme in their work). Kahan very deliberately avoids eliding celibacy under the category of “queer,” and implicitly he makes it quite clear that this is not an argument for the inclusion of “C” to the ever-expanding umbrella abbreviation for the LGBT[etc] community. At the same time, while Kahan’s argumentation certainly upsets the binary between “normal/queer binaries,” that process of subversion inevitably aligns it with the general impulse behind queer theorization. Frankly, I am surprised this is the first major study of its kind. Fascinating and important work which I look forward to returning to. Celibacies is available for purchase through the Duke University Press website. Kahan, Benjamin. 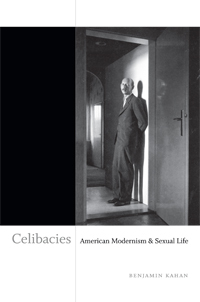 Celibacies: American Modernism & Sexual Life. Durham: Duke UP, 2013.